The weather didn't hold out for us and a whole bunch of rain was dumped on Woodstock. I woke up and dragged myself to the hotel (Hamilton Inn) fitness room which was a particularly sad little room with one recumbent bike and a single treadmill. No free weights or any other equipment was there. Still, I needed to run and I hate running in cold rain so I got on the treadmill and ran 3 miles with 2.3 miles of that at a 10 min/mile pace. It felt good to workout and sweat before breakfast and also to know that I got some exercise in for a day that wasn't going to allow any mountain biking (too bad to ride wet trails). It did stop raining eventually and we went walking all over the tiny town of Woodstock in the afternoon and got in about 2.5 miles of walking also. 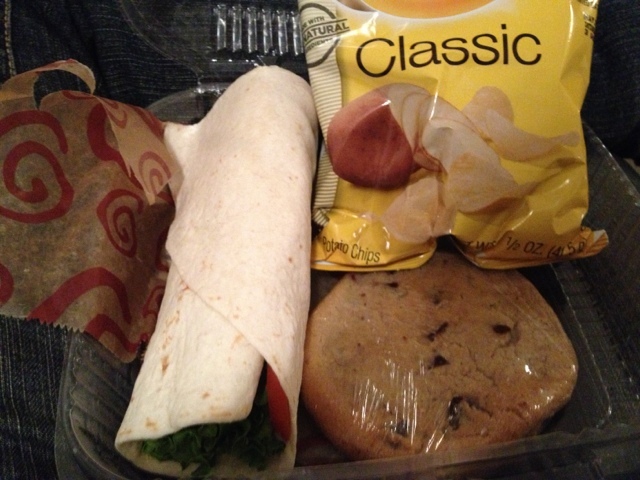 Lunch was a disappointment- turns out Mtn bikers are not different or more health conscious- we had cookies and chips in our lunch and it was served in a big, ugly plastic container that wasn't recycled. Oh well, I can't expect great things every day. 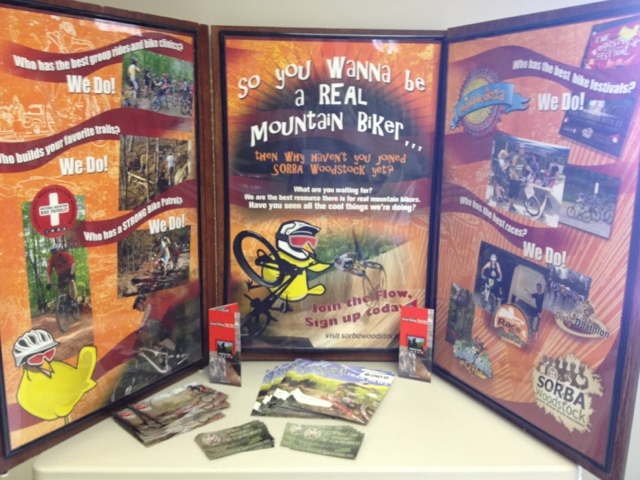 I did like the local chapter's display and draw for new bikers and participation! Plus I learned quite a bit today about liability and risk management as it relates to Mtn biking trails and usage. Plus finally accepting that in the eyes of the law, both rock climbing AND mountain biking are dangerous! Who knew??! I have been arguing with friends that climbing was more dangerous but the reality is both sports require a person to accept some risks and liability for their own actions. I still say mountain biking is more dangerous than top-rope rock climbing. There is no rope in mountain biking to keep me from falling and breaking something ;) Hope your trip is going well!